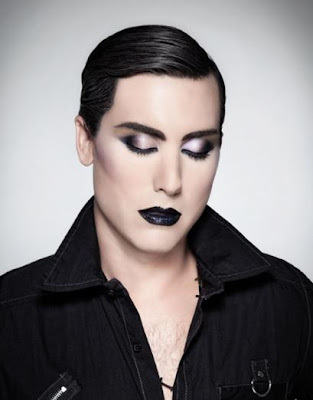 Lush Fab Glam Inspired Lifestyle For The Modern Woman: Lance Bass Goes Glam-Rock and Unrecognizable! Lance Bass Goes Glam-Rock and Unrecognizable! Check out the unrecognizable photos below of former NSYNC member Lance Bass in full Glam-rock mode during a recent photo shoot with celebrity fashion photographer Mike Ruiz. We hope he isn't planning on hoarding this much makeup and hair gel permanently. 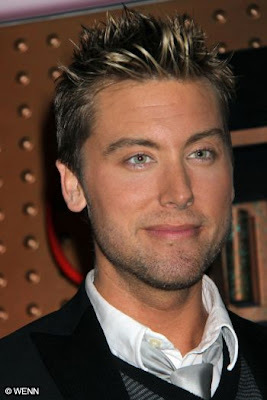 What do you think of Lance Bass's Glam look? Leave a comment.